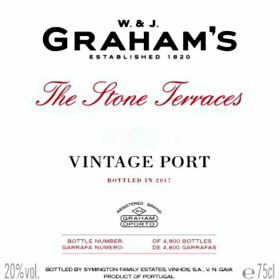 Graham’s Stone Terraces 2015 Vintage Port is available for sale. 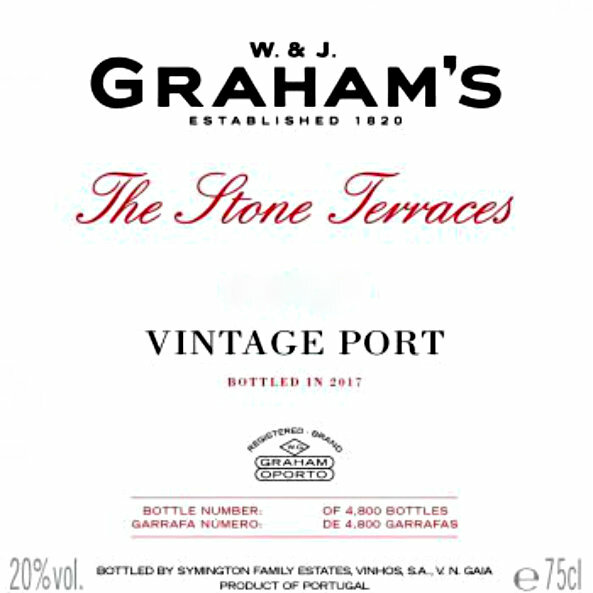 Graham’s Port has been renowned for producing some of the finest Port wines for almost 200 years. 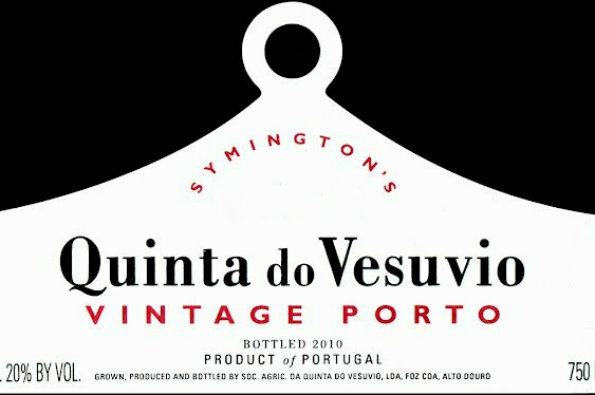 The firm was founded in 1820 by William and John Graham in Porto. 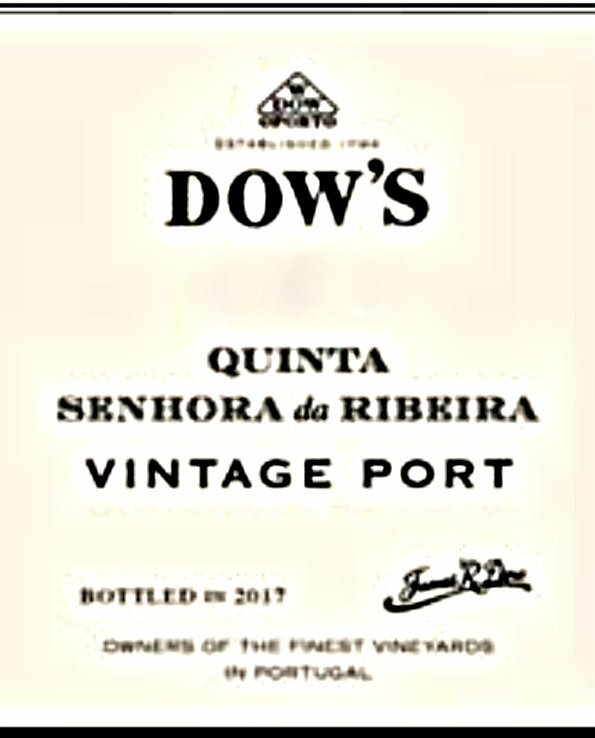 After receiving twenty seven barrels of Port as a payment through their textiles business, they decided to focus all their energy on making the best Port wines from the Douro Valley. 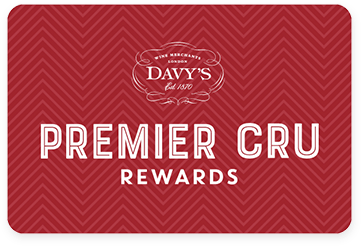 Offered for sale in bond. 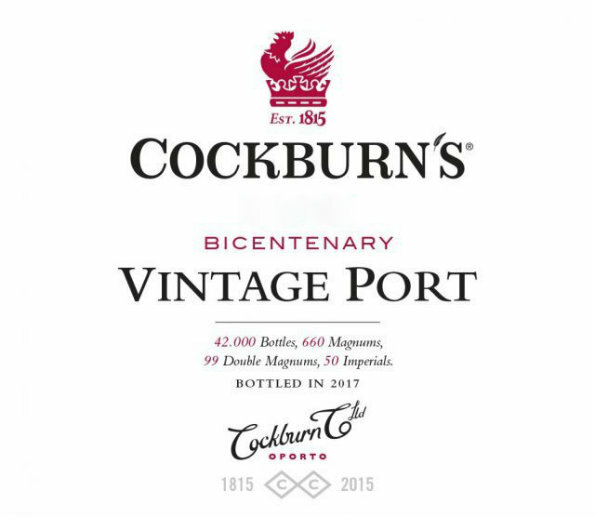 Price shown is per case (3x75cl bottles) and excludes UK duty (£34.68 duty per 9L case) and VAT which will be charged at the prevailing rate once the wine is released from bond.